We have been developing and implementing functional internet solutions for our clients for 10 years already, starting from the concept draft to the project launch and further development. The basis for a good web platform development is a thorough elaboration of UI / UX of the project. User interfaces developed by our agency for the VTB online banking and for Alfa Bank succeeded in increasing traffic to these systems by several times. At the core of our work with UX design lays iteration. 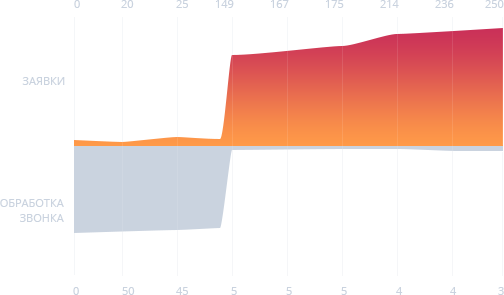 Working on conversion generation, we track feedback and study customers’ behavior with the help of metrics and heatmaps. Optimization of work with management systems and accounting systems is one of the most important factors for effective performance of any organization. This goal can be achieved by means of thorough elaboration and successful implementation of automation system for business processes. Systems developed for our clients (AIR, Finme) gave these companies opportunities to focus on their primary objectives rather than on technologies, therefore, improving their performance indicators. We unite UTP of our clients’ products with our expertise to create digital products and best world’s practices. Development of MVP for a startup is a way to quickly test the viability of an idea, which is important given the high competition in the selected market segment. If MVP finds its customers, the project is scaled, the functionality added, and it becomes a full-fledged business. User interfaces developed by our agency for the VTB online banking and for Alpha Bank succeeded in increasing traffic to these systems by several times. At the core of our work with UX design lays iteration. Working on conversion generation, we track feedback and study customers’ behavior with the help of metrics and heatmaps. The dynamics of load of the call-center of finme.ua financial aggregator after the launch of automation system for applications processing. Within the framework of every project we define the primary objectives a client wants to address with the help of the project development, agree on the main KPIs and work to achieve them.